Sisko returns from a trip to Bajor with the hand drawn plans of an ancient Bajoran spaceship, one that Bajoran legend holds was able to make it all the way to Cardassia. Sisko wants to try and build the ship to prove it's possible. Meanwhile, an unpleasant reminder from Bashir's past arrives on the station. Odo and Garak find themselves embroiled in a rapidly escalating conflict between the Cardassians, the Romulans, and the Dominion. 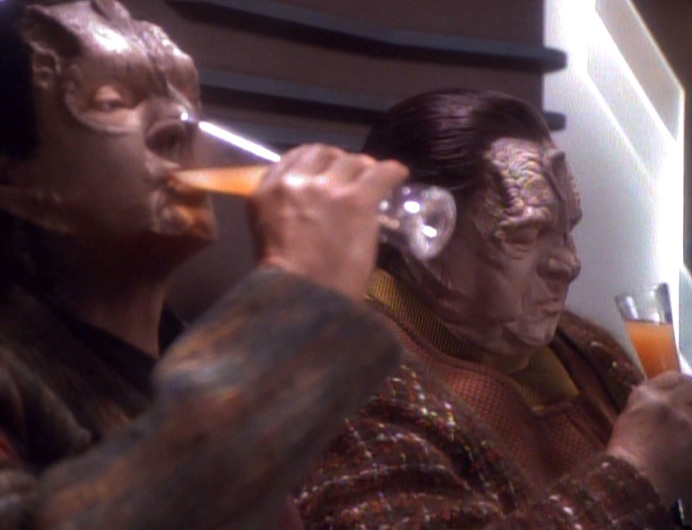 Garak must decide whether to follow the orders of his mentor, Enabran Tain, who wants him to torture Odo for information. Commander Sisko is drawn into a galaxy spanning conflict when he is kidnapped in Ops. The only problem is, it's not his galaxy, and his kidnapper isn't his Chief O'Brien. 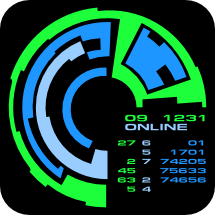 No, it's Smiley, back for more hilarious Mirror Universe hijinks! Think he'll tell the Old Man back home about this one? 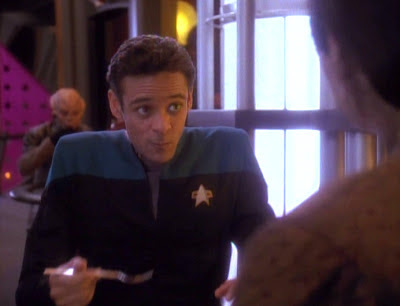 Bashir is attacked by a Lethean, a species with telepathic powers and a really self-referential name for themselves. Trapped inside his own mind, he must find away to escape before his body dies around him. 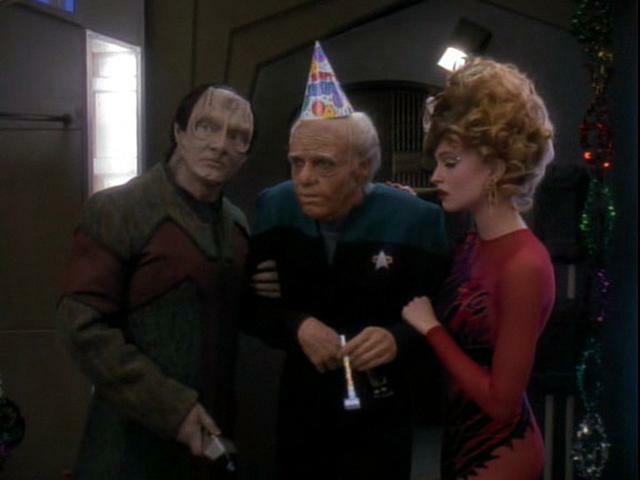 Do they really still sell crappy paper hats and birthday horns in the future? Zek comes aboard with plans to revolutionize Ferengi civilization, and not for the better as far as Quark is concerned. Meanwhile, Dr. Bashir is up for a prestigious award. That's all I got, as far as intros go. 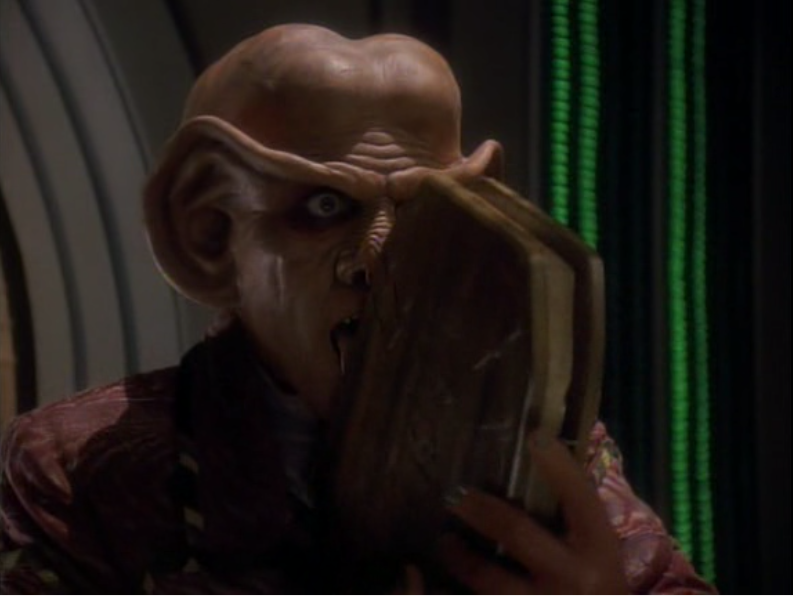 Folks, when Quark licking a book is the highlight of the episode, things are bad.